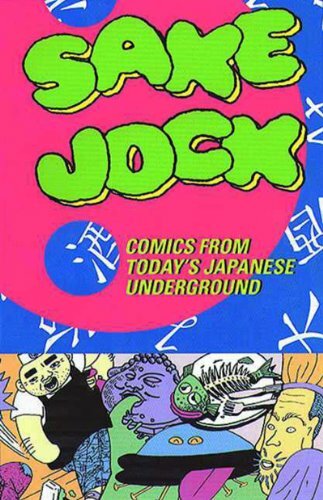 If you liked "Secret Comics Japan" or "Comics Underground Japan", you'd like this. It was published in 1995 by Fantagraphics Books, and features bizarres short stories by Imiri Sakabashira, Naoto Yamakawa, Kiriko Nananan, Nekojiru, Yasuji Tanioka, Yoshiharu Mitsumoto, and Naoki & Shunichi Karasawa. Oh, and by the way, if you want to read some of her comics online (in Japanese), click here. the version i saw had an advisory on the cover, next to a cat holding a chainsaw or something... this one has a bloody liquid cover.. oooh! liquid! Hi, I found your blog a couple of days ago when I was looking for translated Sensha comics, and was utterly astounded at the wealth of material you guys are putting out. Being a huge Junji Ito fan, I'm really looking forward to his comics that you're translating. "Baptism of Blood" sounds really interesting as well. Anyhow, keep up the awesome work. wow-- thanks for the great, great comment. we really appreciate you coming to the site , and hope you'll keep coming back. we'll be posting a new, radical sensha comic today or tomorrow. Next up is a 30-page maruo comic, but the junji ito short will be following that one. I found this site while doing research on Usamaru Furuya... Great idea! So here's what I'm looking for on Furuya. I found this Japanese sticker set printed by Kamio Japan and it looks a LOT like Usamaru's stuff. Short Cuts has me starved for ANY new work of his and I'm trying to verify if these stickers were done by him. ...and if you don't want to help, that's fine. Keep up the good work either way. I also really want the soundtrack.